Last Monday was a day of general rejoicing in our city, among both the white and colored portions of the community. When the news was received, and the Old State House Bell began to peal forth its thundering tones, the people generally laid aside work of every description, in order to share the common joy. Twenty-six-year-old Amelia Brown died this date, April 3rd, in 1819 and was buried at Bethel Burying Ground. The official death certificate or “Cemetery Return” for Ms. Brown is not in the public record. Whether it did exist at one time and was destroyed through the decades is unknown. Consequently, we do not have a cause of death for the young woman. I do not have any other specific information on her. 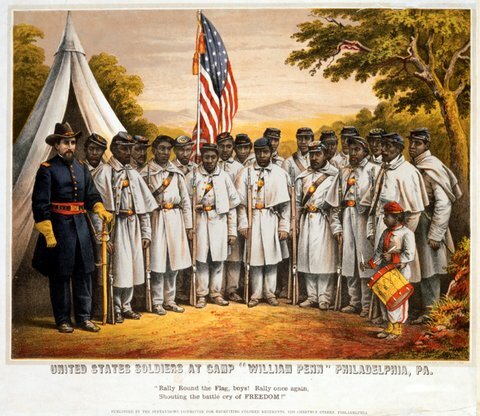 The search for addition data on the young woman is hampered by the commonality of her last name and that she was a Black female who, in general, have left very little primary source material. 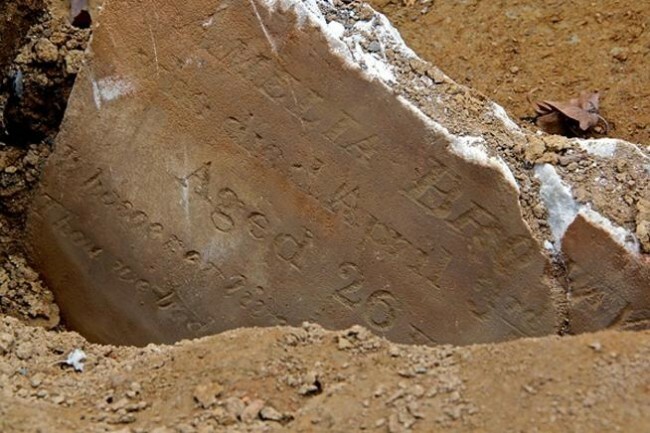 Amelia Brown’s gravestone was unearthed at Bethel Burying Ground on July 25, 2013 by archeologists. It is currently on display at Mother Bethel Church. The Health Office, on a weekly basis, would make the causes of death for the previous week public and the local newspapers would publish the record. Four people in Ms. Brown’s age range died in the week of March 27th to April 3rd. That this leaves us guessing about her cause of death. It was most likely Consumption/Tuberculosis, but we may never know for certain. 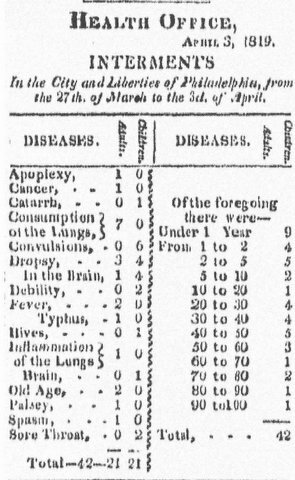 “Poulson’s American Daily Advertiser,” April 5, 1819.